May-June is that time of the year when Egyptian grapes start to arrive. 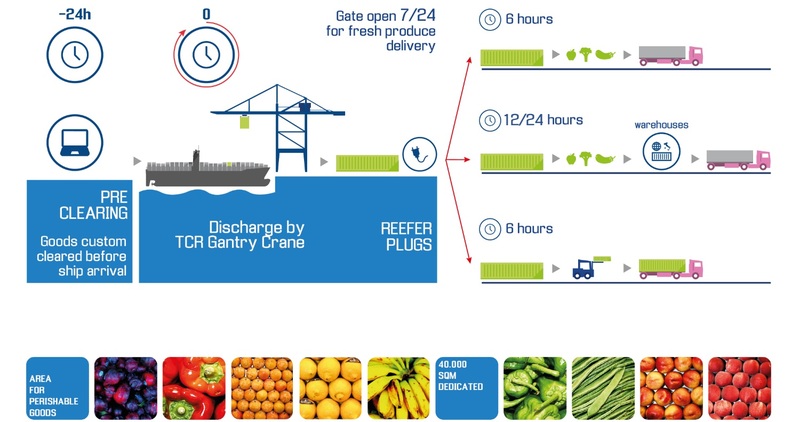 In this period, arrivals are at their highest peak; to this day, more than 300 40-ft reefers have disembarked, bringing more than 4,500 tons of grapes. The goal is to surpass the 600 container threshold managed in 2016. Most of the goods have international destinations and are conveyed through reefer trucks to Germany, Holland, Belgium and UK, after emptying operations that take place in TCR. These operations involve the use of refrigerated warehouses managed by DCS TraMaCo, a specialized logistics company that manages about 80% of operations involving fresh goods. In order to maintain their quality and taste until the end consumer, the goods must reach the shelves as soon as possible after being picked. The fast transit times (only 3 days from Alexandra, Egypt to Ravenna) along with TCR’s flexible logistics chain ensure that Contship’s Adriatic Gateway is the quality choice for end-to-end management of goods in short timeframes (5-7 days). “The ship departs from Alexandria, loaded with freshly picked goods” Alessandro continues, “and it is critical to start operations as soon as it reaches TCR’s quay. 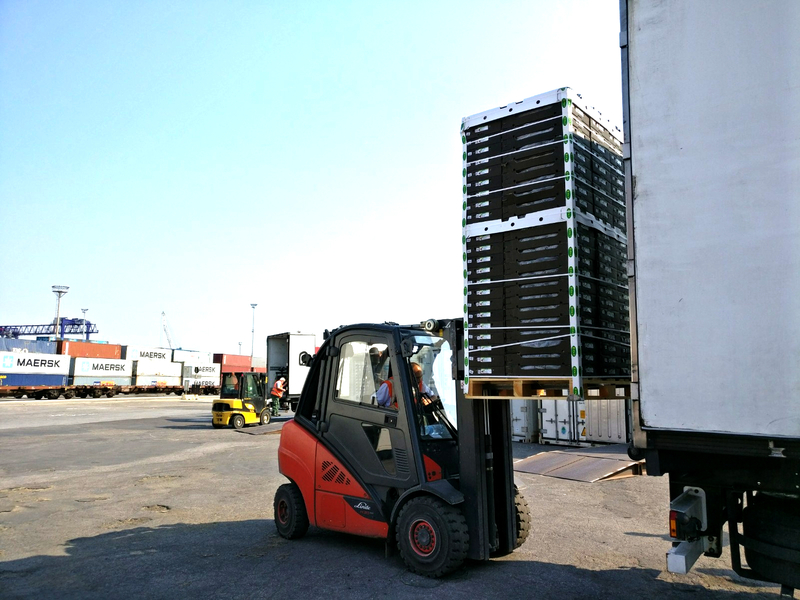 In Ravenna we can guarantee loading and unloading activities 24h a day, 7 days a week. Operations are usually completed in 12/24 hrs, to ensure the goods reach North European markets as fast as possible".